In 1937, Jule and I moved our family into the third-floor apartment at 261 South Eighth Street. 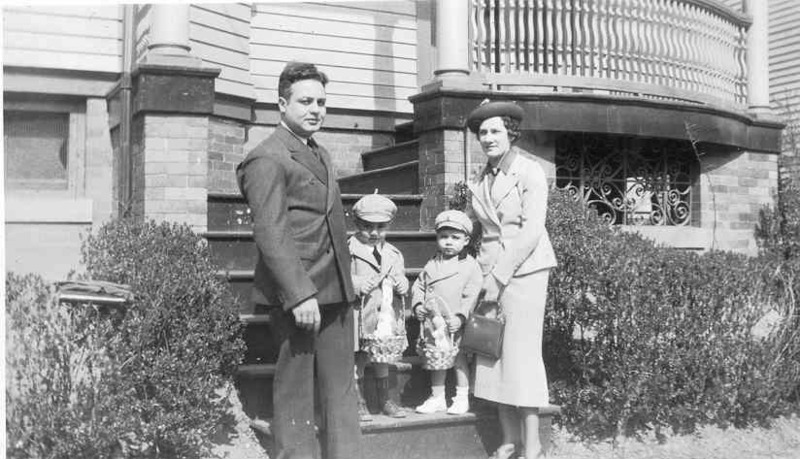 My mother and father- in-law occupied the second floor, along with their daughter Betty Mango, and the Ferraras', Millie, Sal, Joan, and Carol, lived on the first floor. Wine making with Grandpa Mango and Uncle Jim was always a fascinating experience. We pooled our knowledge in order to make the best quality wine. The only problem was that they were slow drinkers, and I was fast. Uncle Jim had wine stored in gallon bottles that was 10 years old, or even more. He was a very conservative guy with wine. That is not to say that he was stingy or tight, he only wanted to age the wine in order to improve its taste. My family was in the habit of making and drinking wine every year, and not aging it.